Rebranding and Revitalization of Japan’s Most Iconic Truck and Bus Brand. 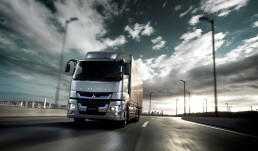 Mitsubishi Fuso Truck and Bus Corporation (MFTBC), majority owned by Germany-based Daimler AG, is one of the leading manufacturers of commercial vehicles in Asia, producing light, medium and heavy-duty trucks and buses. 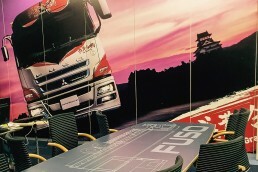 In a highly competitive global landscape, Mitsubishi Fuso aimed to build upon it’s existing brand equity to create a strong brand with a heavy focus on increasing global sales. Numerous complexities were present, including inconsistent brand identity and logo usage across markets, and lack of an articulated and consistent brand story. 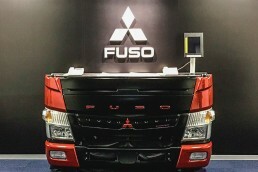 Ad-comm Group was designated Fuso’s lead agency charged with defining the future of the Mitsubishi Fuso brand by assessing the global landscape and enabling an in-depth understanding of the challenges and opportunities in identified growth markets. Beyond the branding initiatives, our scope of work includes the planning and execution of major product launches, the managing of global internal communications between 100+ markets through an innovative content management system, and physical branding of the company’s headquarter in Kawasaki, Japan. The branding process entailed investigative and in-depth qualitative research in the identified growth markets (Japan, Indonesia, Taiwan, Australia, Germany, France, UAE, Peru, Columbia) including interviews with management, dealers, distributors and owners/ buyers, media and drivers. 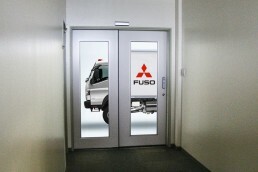 The work laid the foundation for the future brand identity and expression of Fuso. 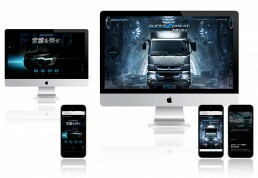 Strategic product communication included concept development, planning and execution of the comprehensive global launch for the next generation heavy duty truck, Super Great – the first re-launch in over two decades, and of critical strategic importance to the company. In addition to the launch event, launch activation encompassed all creative content creation across TV, print and digital channels. The highly successful launch has resulted in sales significantly exceeding ambitious targets.